If you have any maps, and you're willing to donate them to me, post them here. Keep in mind that the map must be suitable for this game (fairly balanced in terms of terrain, one village/chest per player, that sort of stuff). 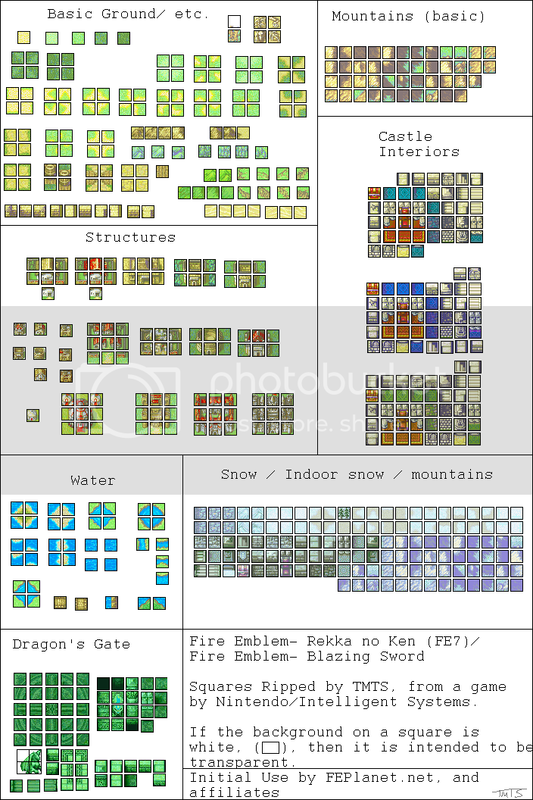 EDIT: For map dimensions, no larger than 36 tiles wide, and 40 tiles tall. Also, please do not put grids on the maps. Also, do not save your map as a .jpg. Save it as a .png instead. How do you make maps?? You can do so on Paint. 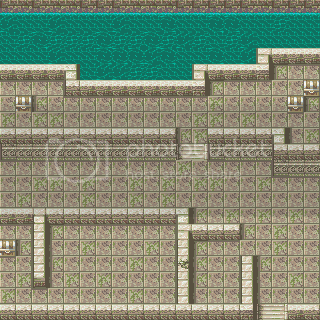 I just use screenshots of GBA Chapters and use Gamemaker to paste the tiles. Left team should start all west of the nothern-most river tile, in the woods. Right team should start a bit below the right cliff. Making the northern village for the right team, and the middle village for the left team. Flyers, however, change everything here. Castle can be used for whatever, I put it in for show, but do with it whatever you like. Not much to say about this one.  Nothing, in fact (IMG:style_emoticons/blue/sealed.gif) . Only thing that maybe needs to be changed it, is that the eastern-most treasure room�may�need�a�4th�entrance,�making�it�faster�accessible�(and�4-symmetrical�as�well),�it�should�have�a�cursor-like�shape�then. Are chests required? If so, I'll have no trouble pasting them in, but if not, I've elected this map for submission at this time. Can't be anywhere near that wide, and I'm pretty sure doors and cracked walls don't work. Lame. I'll dig through my archives for something else. Didn't see this. Read the second post. Now give me back my 50% mark. Also, fliers can fly all over that map!!! I need to be able to load these maps kthx. I'll make more by the time (IMG:style_emoticons/blue/nod.gif) . Weird chestlyness on two. One squeezes the players and there is no insentive to explore to the whole extent. Two gives the middle player an advantage over two chest at that squeeze point. Yours were the only compitition for the map in my link. I'd say the map in my link wins because it offers something unique aka. two set up spots for each team(Each go \_ to make a nice fair map) and there are no sudden loses from one thing. I gave you a out side map but you just ignored me. 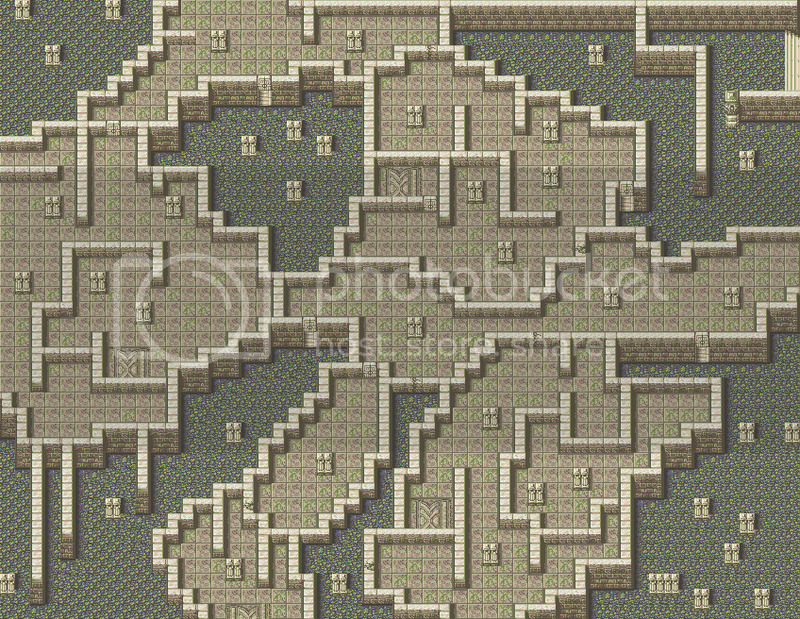 (IMG:style_emoticons/blue/sad.gif) Here's my new CASTLE MAP!!! You fool look at what you have done!!! Anything I need to add/remove? Alright, I dug through my ImageShack and found two maps. One just needed some Villages added, that's the one I'm adding at the bottom of this post. The other needs a bit reworking for it to work properly. Regardless, here is the map in two forms, one with borders and one without. I can't give exact coordinates for unti placement as I haven't started FETO yet and thus I don't know how many can go on each map, so I'll leave that up to you.